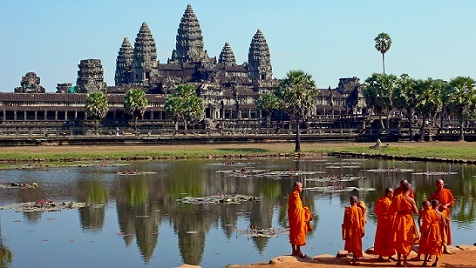 Angkor Wat listed in World Wonder List is only a few hour’s drive from Buriram and is a must see destination. It is located about six kilometress north of Siem Reap, Cambodia. 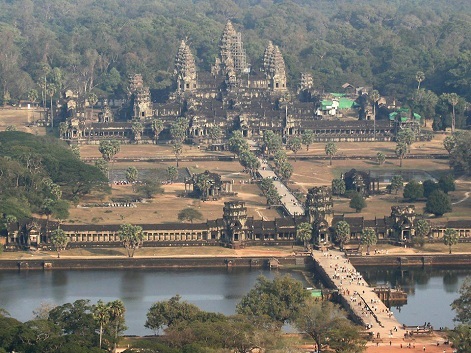 Angkor Wat was built in the first half of the 12th century by King Suryavaiman II. The estimated construction time was 30 years. We are fortunate to have in the Buriram Province, Isaan Angkor Tours who organize regular tours to this amazing destination and have one coming up in the next couple of weeks. Having been on one of their tours with some friends last year, we at the Buriram Times can thoroughly recommend the service provided by Ray and Nick at Isaan Angkor Tours which are well-organized and great value. Details of the next tour are shown below. From – 4,500 baht per person. The price is based on 2 people sharing a Superior room at the City River Hotel with three nights’ accommodation with breakfast, plus return minibus/coach travel from the Chong Chom border to Siem Reap. A Deluxe room would cost 5,050 baht per person. The Cambodian visa for non-Asians is extra at $35 or 1,500 baht. Asians are charged 100 baht for entry into Cambodia. The above prices are subject to a minimum of 6 guests joining. Single price option, can be arranged upon request. Transport can be arranged at additional cost for those not wishing to make their own way to the border. Please enquire. The itinerary allows time on the day of arrival to discover Siem Reap and perhaps visit the National Museum – a good source of information prior to visiting Angkor Wat. 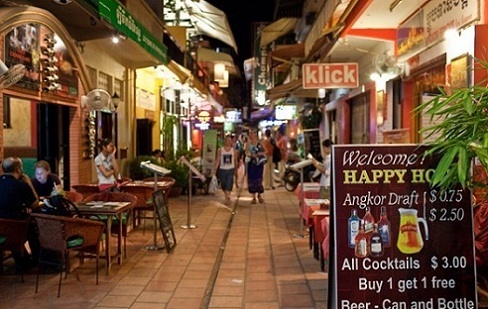 Alternatively, you may wish to relax with a glass of Angkor draught beer for 50 cents in Pub Street. We also recommend a visit to Phare – a Cambodian circus.